I have set a goal of reading 4 books a week (if I ever intend on getting through my TO BE READ pile! ), unfortunately, this week was side tracked by the flu/food poisoning. I can't remember the last time I was too sick to even read! I spent an unusually large amount of time watching the Disney channel with my 2 daughters rather than doing anything productive. I know, I know, shame on me. However, once I was up and about I was able to get through some of my most highly anticipated books. 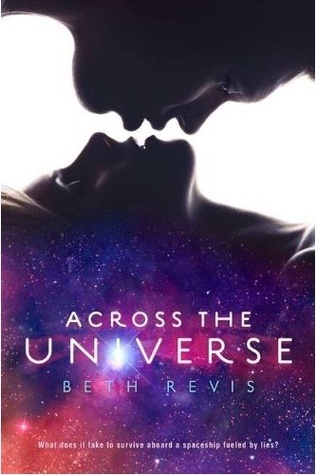 This week I will be reviewing Matched by Ally Condie, Witch and Wizard: The Gift by James Patterson/Ned Rust, and Across the Universe by Beth Revis. But the One has other plans in store for them: He needs Wisty, for she is "The One Who Has the Gift." While trying to figure out what that means, Whit and Wisty's suspenseful adventures through Overworld and Shadowland lead to a jaw-dropping climax and conclusion: the highly-anticipated fulfillment of the heart-pounding opening prologue of book one... The Execution of the Allgoods. I don't know, maybe it was because I haven't read Witch and Wizard since it first came out, but I just didn't love this one. While I do acknowledge that I think this is a good book for both boys and girls (especially reluctant readers), it did not flow for me. I felt like there was to much back and forth without any real advancements being made in the story. Quite honestly, this second book in the series did not provide me with any answers. I have a hard time with the names too. I know that Whit and Wisty are cute names for twins, but in a book where the narrative alters from chapter to chapter, they are just too close. I wasn't crazy about the first one in the series, but thought I would give this one a chance. I don't think I will pick up the 3rd when it comes out. I also don't think it helps that the coauthor is different this second time around. Wish I had better things to say. I definitely think all the hype around this book was well deserved. I finished this book 2 days ago and still can't get it out of my head. The characters were so well developed (and I love that the main character's name was Amy not Brynnly or Addison or some other super trendy name). In the past, I have not always been a sci-fi fan, but I think I am slowly starting to convert. I loved that there was a mystery surrounding the story, the relationship between Amy and Elder, and that there was an all out awful villian. Every page held a new twist and a new moral dilemma. I have said it before and I will say it again. I LOVE books that make me think and keep me thinking. At the end of the book, I sat there and thought about how I would have felt waking up in a foreign environment with no one to turn to or trust. How would I have felt as I discovered secret after secret, each one altering my life in ways that I could never imagine. It reminded me that absolute power absolutely corrupts. I would recommend this book to both boys and girls in 7th grade and up. If YOU haven't read this one yet, go out and pick it up RIGHT NOW!!! I started reading this book last night at about 9:30 p.m. and literally stayed up reading until I was I finished with this one. 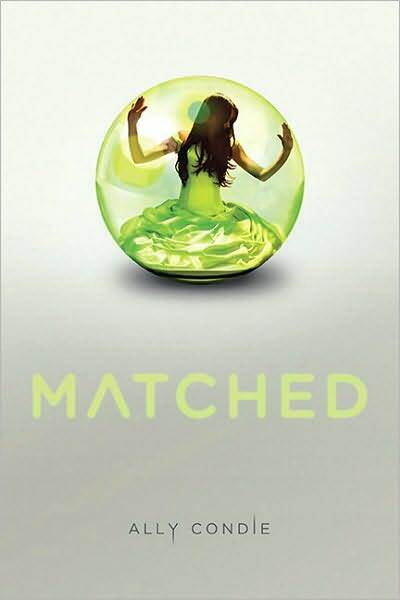 The only thing that kept me from giving Matched a 5/5 is that I read it on the heels of Across the Universe (which if you read my previous review, you'll now that I love, love, loved it!) and it didn't seem quite as good (although it was pretty amazing.) In Matched, I truly felt bad for Cassia. The situation of being caught between 2 boys you are in love with is not uncommon even in real life. Now imagine being committed to one because the government told you you had to be. Now what if they made a mistake? In Cassia's case, they did. This is another book that made me think. Imagine if the government controlled EVERYTHING. Who you married (if you were allowed to), what you ate, how many kids you had, even when you died. Scary, right? What if you no longer had free will to make choices for yourself. This is the society Cassia lives in, and everyone seems to be okay with it. While this novel is definitely of the Dystopian type, Cassia's community still similarities that parallelled todays society. I would recommend this book more likely to girls in 6th grade and up. Let me know what you think. Have you read any of these books? Do you think you will?